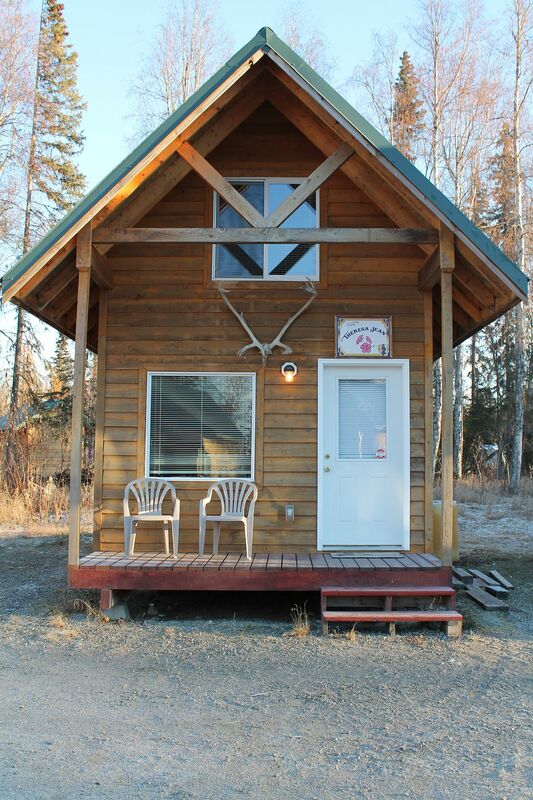 Wherever your travels take you, plan on a visit to EagleQuest Cabins & Lodge, just a short distance off the George Parks Hwy. We’re located in a peaceful and beautiful setting with convenient access to popular winter and summer activities. EagleQuest Cabins & Lodge opened in 2006 to provide visitors to Deshka Landing a place to enjoy a hot meal and a stay before or after a trip on the Deshka River. We’re a family-run business where everyone has a place and there’s a place for everyone, most especially our guests who we treat as our extended family. 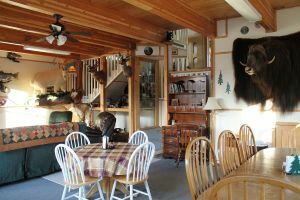 The lodge offers a full breakfast and lunch menu along with espressos and warm cinnamon buns. 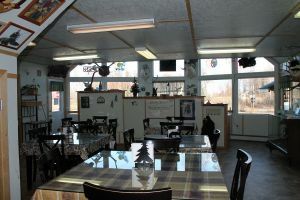 The atmosphere is friendly and conversation is always lively. 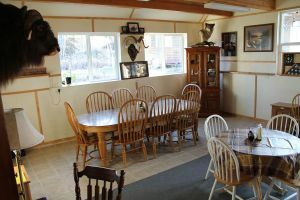 Stop by and enjoy a good home cooked meal that fills you up but doesn’t empty your wallet. We host events and parties at EagleQuest Cabins & Lodge and can also cater. 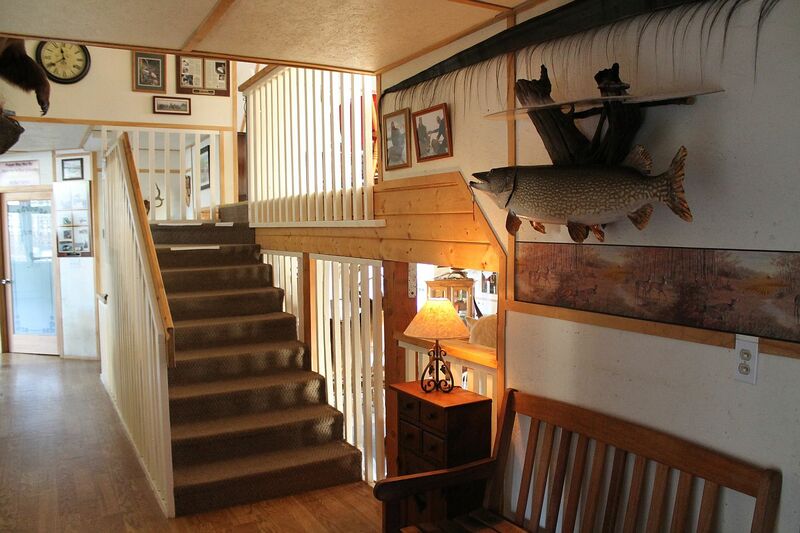 Warm, cozy cabins are available for rent all year long and are the perfect place to stay before or after a day of fishing or a winter trail ride! 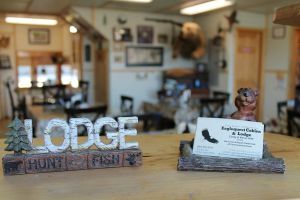 Take advantage of the opportunity to hire a fishing, hunting or trail guide who can take you to some wonderful fishing spots, guide you on an Alaskan hunting trip or lead you on an exciting snowmobile ride. We offer small engine repair services for ATVs, boats and snowmobiles. If you find yourself in need of a mechanic while on the river or trails, call EagleQuest at 907-355-3053 or 907-495-1116 and we’ll help you out. 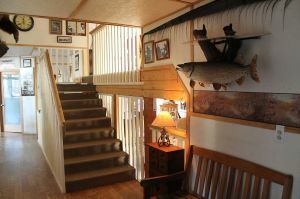 Come to EagleQuest Cabins & Lodge for a visit. 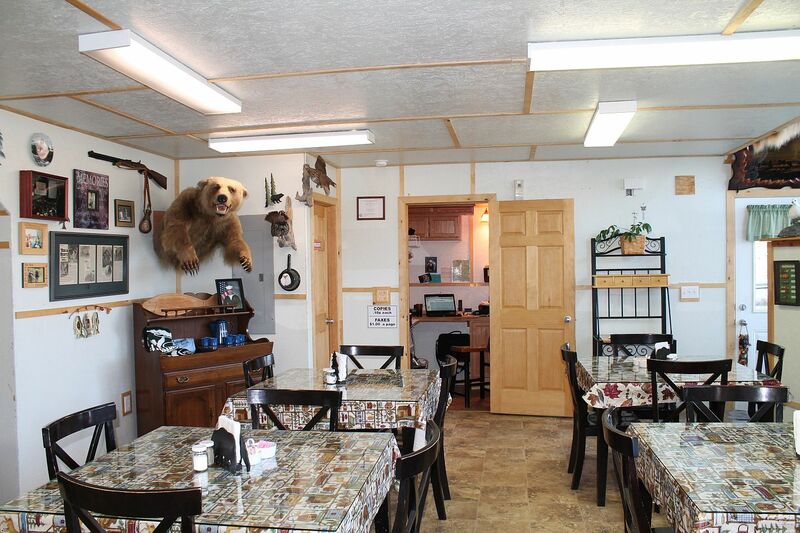 We’ll make you feel welcome and part of our family. Cindy and Kevin look forward to seeing you at the lodge.